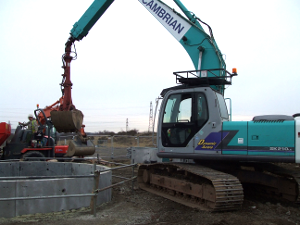 Cambrian Plant is one of South Wales leading excavator hire companies. The company has been in business for over twenty five years and is fully commited to providing machines and operators of a very high standard. 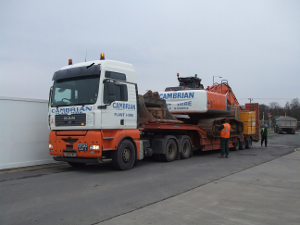 At Cambrian, we provide a rapid deployment of our equipment to meet our customers demanding contract requirements. We provide Midi Excavators, Tracked Excavators, Long Reach Excavators, Dozers, Wheeled Excavators (both site masters, and ducks), Wheel Loaders, Articulated Dump Trucks, and Hiab Flat Beds. Our Fleet is supported by our field service engineers, and maintained in a fully equipped workshop. The fleet is regularly updated with new machines to meet customer requirements. 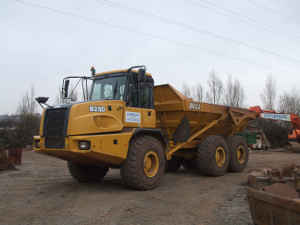 All of our operators are CITB, CPCS, and PTS Network Rail qualified. The company has supplied machines and operators to customers from one end of the country to the other, and has competitive rates to match and beat any other hire company. At Cambrian Plant Hire, there are no hidden hire charges, or added extras without the full knowledge of the customer. All invoices are monthly, and the company operates in conjunction with the CPA model conditions.